Was it Audrey Hepburn who told us “Paris is always a good idea in the spring” in the original Sabrina movie? And Sinatra who sings about Paris in the springtime? Well, I lived in Paris for almost a year just before moving to Milan and as beautiful as it was, all I can say is that it was still snowing in April… Milan, however, it quiet lovely in April and May. If you’re heading here in the peak summer months, be sure to consider little adventurous day trips to Lake Como, Lake Garda, Lake Majorie, or Lake Lugano (Switzerland) which are all within 1-2 hours drive from Milan. Another alternative is to do a weekend trip to Venice or Liguria and visit the gorgeous Cinque Terre & Portofino area. So… back to Milan in the spring. This week is Salone del Mobile, which is a really cool fair that infiltrates the streets of Milan every year around this time. Creative works of art, clothes, furniture and decor will be on display, the streets will be bustling with people, cafes, restaurants and bars will be open late extra late, and the Navigli (our neighborhood) will be especially lively and eventful. Everyone is out enjoying the parks, bike riding, the flowers are blooming, and my laundry hanging over the balcony like all typical Italian households dries within a matter of hours. Ah, la vita è bella! (To understand the beauty of this laundry aspect, read “Laundry in October“). And, bonus: since it’s not scorching hot yet, the fact that you can’t get iced drinks, especially iced coffee or iced chai is not quite unbearable (see “25 Things I’ve Learned From Marrying An Italian“, and “Italian Lifestyle: Coffee & The Unspoken Book of Rules“). Hopefully the refreshing granita limone will be available soon as we near the summer season! 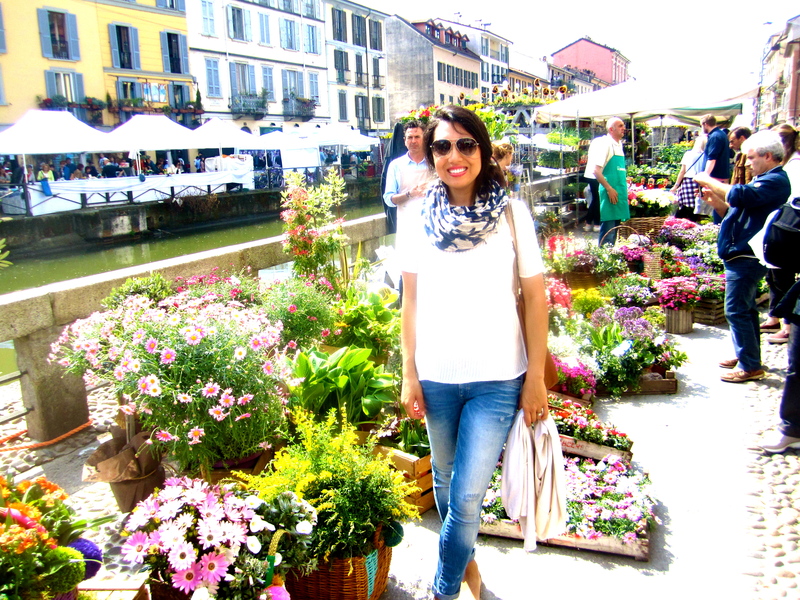 On Saturday this past weekend we decided to browse through a local outdoor market which is set up right in the Naviglio Grande (a couple minutes’ walk from our flat), and runs during spring, summer, and most of fall. This week it was a flower & garden theme, and it seems that they change up the products pretty frequently. 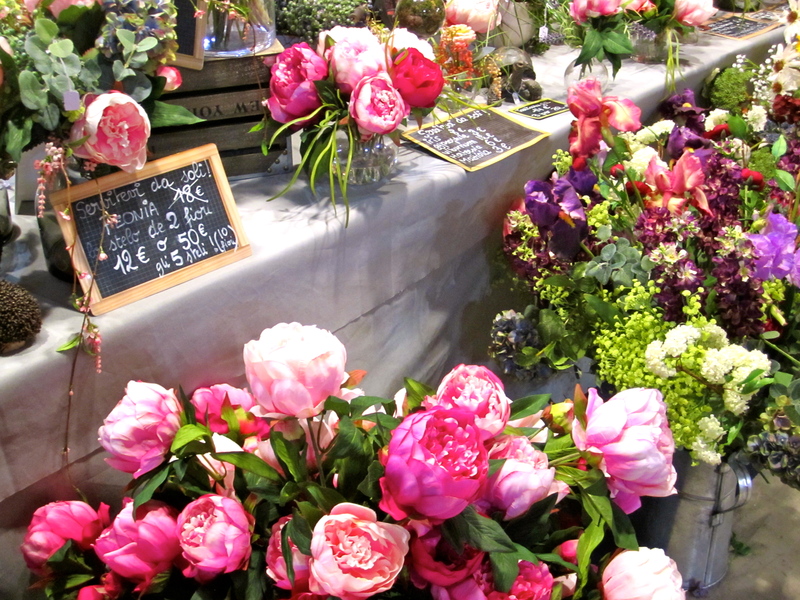 Milan, you’ll find, has all sorts of markets (including second hand/vintage) just waiting to be discovered, and spring is the perfect time to do so.